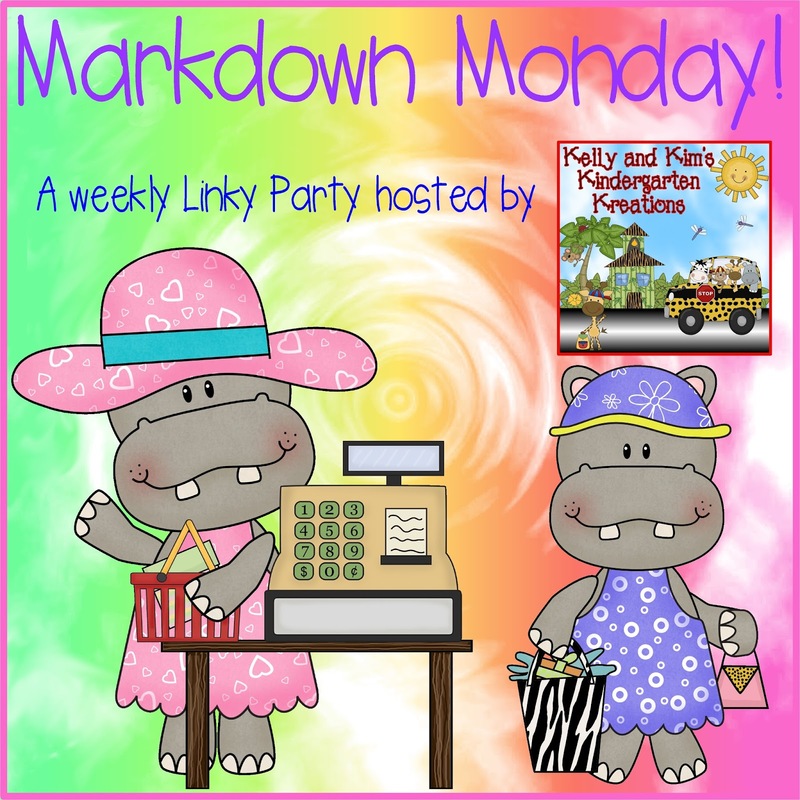 like to "markdown" until Sunday, April 3rd. 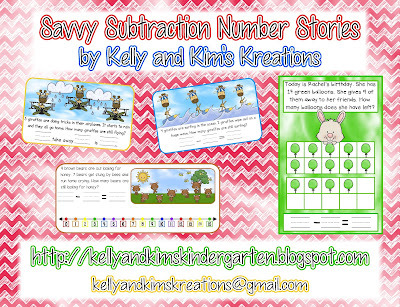 We are very excited to introduce you to our newest product: Savvy Subtraction Number Stories. We have included four lessons to help your children find differences. Each lesson includes modeling, group cards, and an assessment. 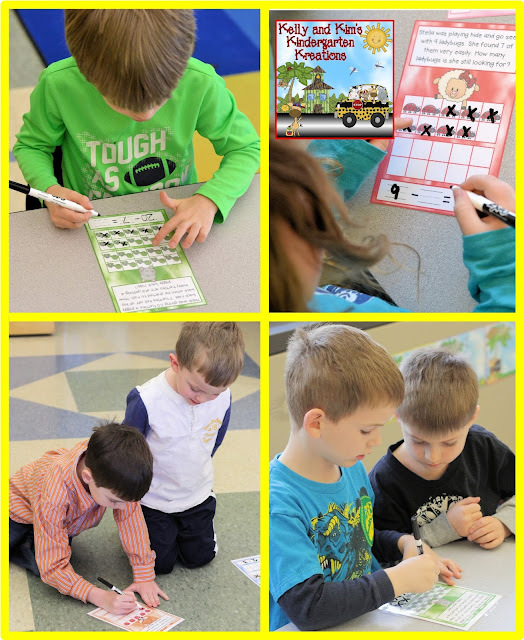 We love these "one-time prep" activities because once you print and laminate, they are ready for you year after year! We use dry erase markers on the task cards. They clean off very easily with a tissue! We like to start our unit on subtraction number stories by using the words "take away" and "is" in place of the minus and equals sign. We show children how to listen for key words in the number story and how to cross out the objects that need to be taken away. This set of cards uses the minus and equal signs. In cooperative groups children will read the number stories to determine how many they should 'x' out or 'take away'. They will complete the number sentence on the lines provided to match the picture. The next group of cards uses a numberline to find the difference. 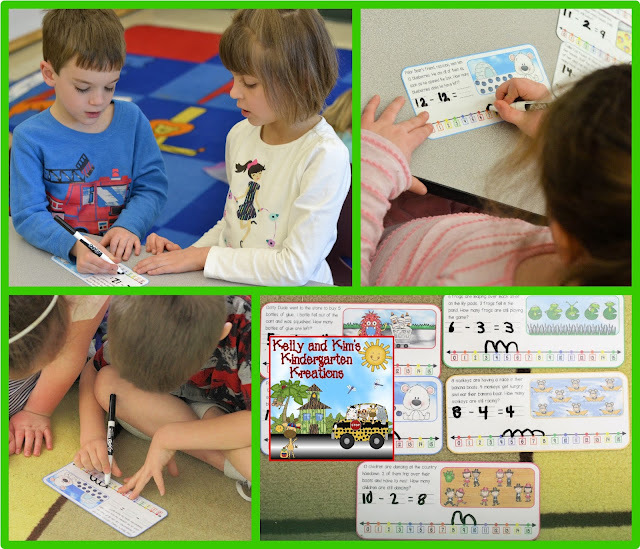 The children will read the story and then show "jumps" they will move backwards on the numberline. Each card also has a scene to match the number story. Your children can cross out the pictures in the scene as well as another way to check their answers. This last group uses ten frames to help the children solve the number stories. 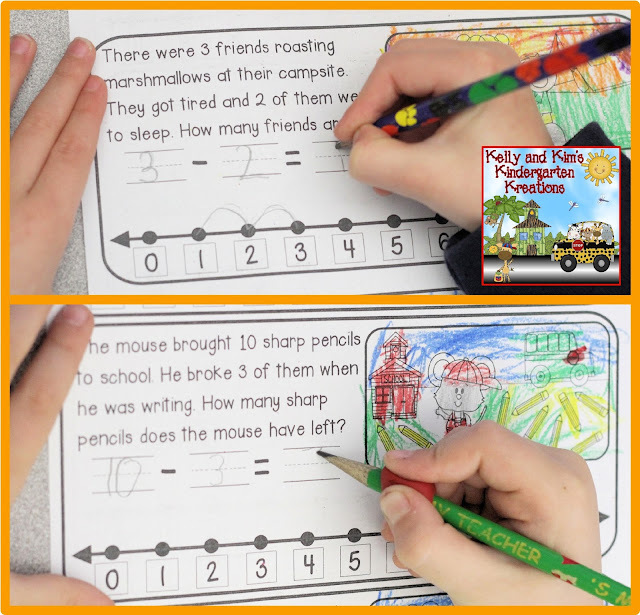 The children will read the number stories and look for the key words that tell them how many objects to cross out on the ten frames provided. They will then complete the number sentence on the lines provided. We also included an extra assessment. 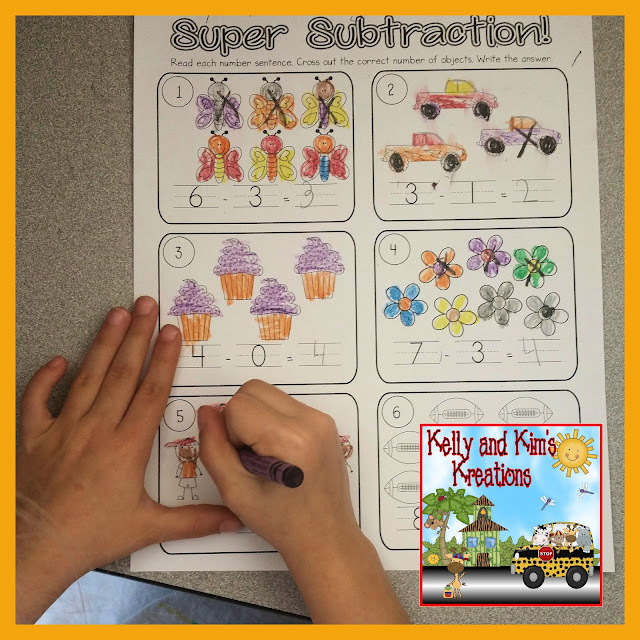 This assessment does not use number stories, but uses pictures for children to cross out and demonstrate their understanding of subtraction. 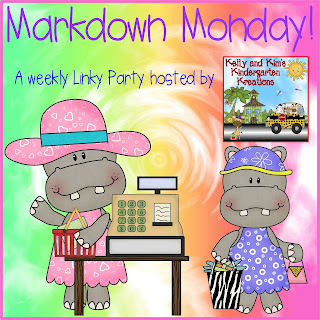 Thanks for hosting this weekly linky! Thank you for linking up with us!! Have a great week!